. . . LOADING . . . I am interested in something similar to this piece! Classic, chic, and full of romantic charm, this 18K gold Victorian pendant, circa 1875, is a fine example of the secret language of flowers. Engraved with three daffodils and set with Old Mine Cut diamond centers, this flower signified regards and may have been given as a lover’s pendant. 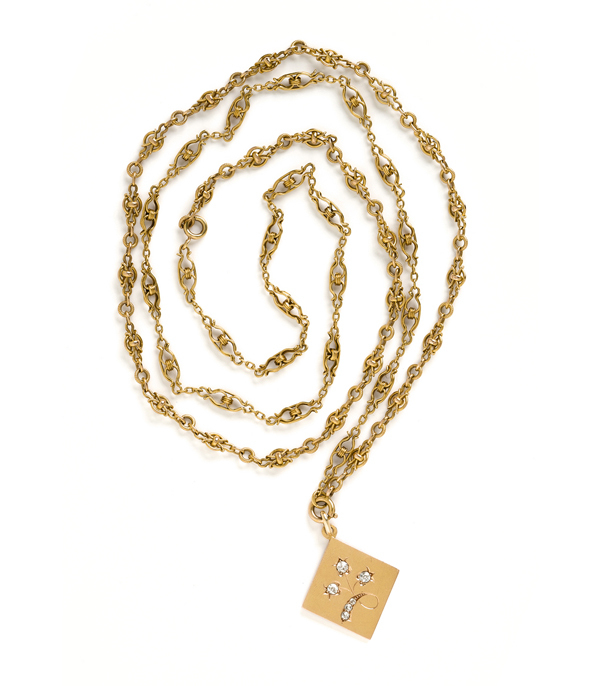 We love the sweet and sentimental character of the pendant juxtaposed with its overall sleek shape and weighty substance. 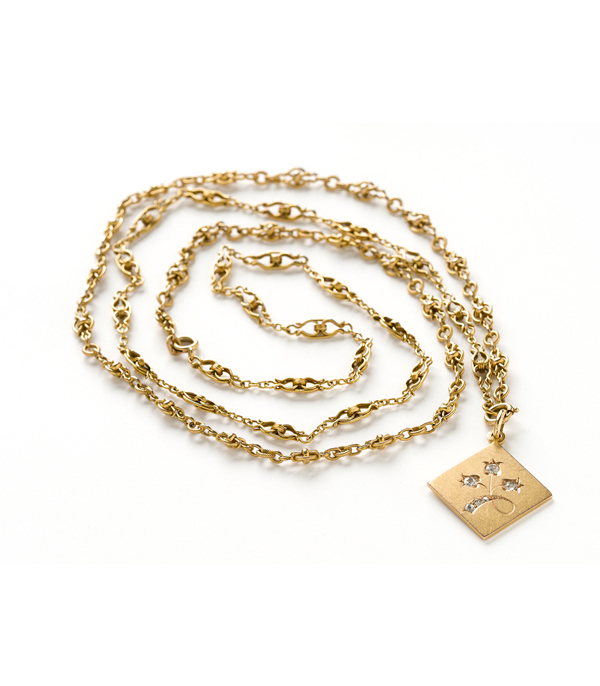 We styled this rare pendant with two 18K yellow gold Art Nouveau style chains. This unique piece presents a bouquet of opportunities to up your necklace layering game! This piece is part of our Vintage Floral edit. See the entire collection here. Categories: Victorian Jewelry, Vintage Necklaces.